If all the dancing tires you out, head over to the Mini-Makers space to create sea creatures, such as anglerfish and comb jellies, using fluorescent markers and neon craft materials that glow under UV black lights. 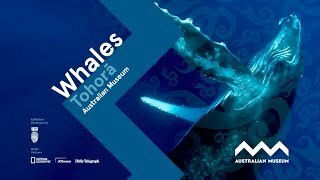 This school holiday program is in support of their current special exhibition Whales | Tohorā. Every year 100,000 marine mammals die as a result of plastic pollution. This includes whales, dolphins, porpoises, seals and sea lions. That’s why the Australian Museum has partnered with WWF-Australia to change our plastic habits and help you change yours by pledging to #ReduceYourUse. To empower our visitors, we will be giving away a biodegradable bamboo toothbrush to every child that attends Mini-Makers – In the Deep Sea.